Local Name Phen Kamal, Pheni Kamal, Kapasi. Flowering time June to September. Other Information Plant is considered as sacred. It is near threatened. The term Gossypi means cotton and Phora means bearing, referring to the cottony nature of the flower. Other Information The whole plant is used in the treatment of toothache. The plant has anti-diabetic and diuretic properties. Where will you find it in Valley of Flowers You can find Viola Pilosa near the entry point of Valley of Flowers just before entring the gate. 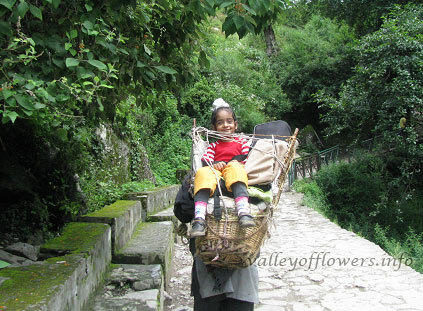 This picture was taken in last week of May 2012 near the entry gate of Valley of Flowers. Other Information The whole plant is used in treating fevers.Syrup prepared from flowers is used for treating infantile disorders. Roots are employed in treating fevers. You can find it in deep forest area at the start of the trek. First two kilometers inside the deep, humid and cold forest. This picture was taken in first week of June, 2012. Other Information Wingless Ainsliaea is a small perennial herb which attracts attention by its dry-looking slender sprigs of frilly looking white flowers. Roots are used in alleviating fever, stomachache and urinary diseases. 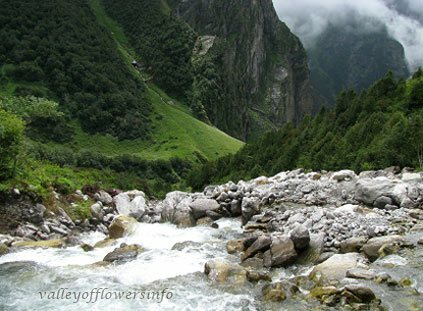 Where will you find it in Valley of Flowers You can find it near flowing rivers. 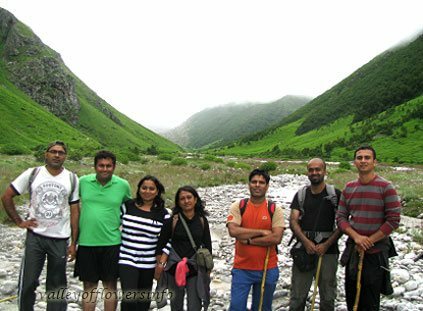 Especially on Pushpawati river bed in Valley of Flowers. Other Information Allium Humile is a species of onion found at high altitudes in the Himalayas. Locals use it in cooking because of its garlic smell. In village Mana local villagers sell its dried leaves @ Rs. 10 per pouch. You can buy it and use it in cooking for a nice experience. But do not bring it from Valley of Flowers. 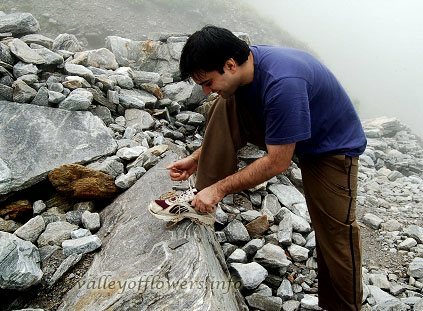 Where will you find it in Valley of Flowers You can easily find it after trekking for two kilometers from entry gate of Valley of Flowers, just after crossing a huge glacier on your left side on mountain slope. It grows in large numbers. It paints the slope with its snow white color. Other Information The Royleana is named in honor of John Forbes Royle, A British Botanist born in Kanpur, India. 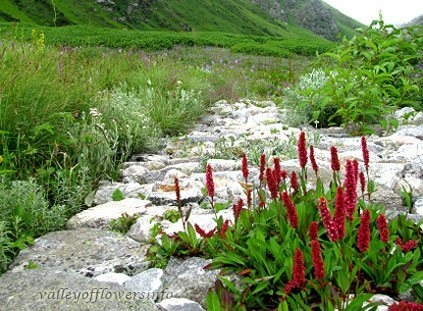 Where will you find it in Valley of Flowers You can find it in abundance in Valley of Flowers provided you visit in July, especially before last week of July. Generally it comes before the three other major flowers Geranium, Campanula Latifolia and Polemonium which paints the Valley of Flowers in Blueish purple color. This flower give Valley of Flowers its white patches over the green background. Where will you find it in Valley of Flowers This flower can be seen on your trek from Govindghat to Ghangaria.This flower is not seen in the Valley of Flowers. Other Information Roscoea purpurea was named by the English botanist James Edward Smith in 1806. It is the type species of the genus. The generic name honors Smith's friend William Roscoe, the founder of the Liverpool Botanic Gardennow relocated to the Wavertree Botanic Gardens. Like all members of the genus Roscoea, it dies back each year to a short vertical rhizome, to which are attached the tuberous roots. When growth begins again, "pseudostems" are produced, structures which resemble stems but are actually formed from the tightly wrapped bases (sheaths) of its leaves. Roscoea purpurea can grow to over 50 cm tall, with wide leaves and a stout pseudostem, although the height varies. The word Purpurea means having purple color. you can see a purple color shade in the flower. 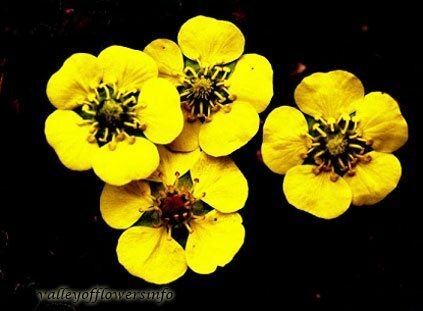 Where will you find it in Valley of Flowers This flower is found at an altitude of 1500-2300 meters. So you can find this flower on your trek from Govindghat to Ghangaria. You will not find this flower in Valley of Flowers. Other Information The word Canescens means Covered with short grey or white hairs. 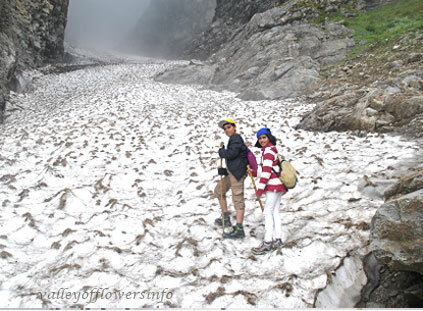 Where will you find it in Valley of Flowers Impatiens Devendrae can be found between Govindghat and Ghangaria trek. You can see this flower easily just after crossing Pushpawati river (After trekking for 9 kilometers from Govindghat ). 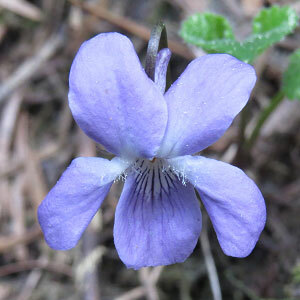 This flower can be found on both sides of the trek in the dense forest in the last three kilometers of the trek. Other Information The word Impatiens means impatient referring to the bursting of fruits when touched. 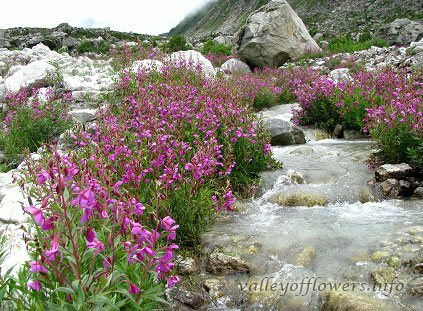 Where will you find it in Valley of Flowers You have more chances of finding this flower in Hemkund Sahib than Valley of Flowers. 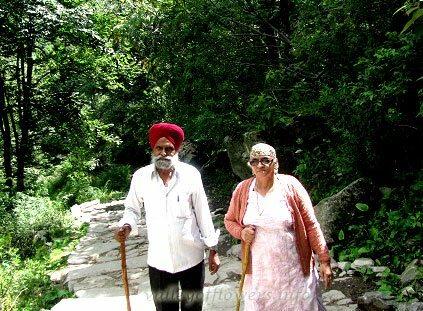 This picture was taken at Hemkund Sahib lake. Other Information This species is named in honor of Thomas Thomson, Scottish naturalist and superintendent of Calcutta Botanic Garden. Where will you find it in Valley of Flowers You can find this flower in later half of Valley of Flowers at grassy slopes. After trekking for about 4-5 kilometers from the entry gate you may find Leontopodium Brachyatis. There is a Bhojpatra forest Just before reaching Pushpwati river bed and before that forest in grassy slope you can find this flower. Other Information The word Leontopodium is derived from two words Leonto (Lion) and Podium (foot). As the flower heads resembles lion's foot. Where will you find it in Valley of Flowers You may find Parnassia Nubicola just 100 meters from the entry gate of Valley of Flowers. Near a frozen river (frozen till mid July) you may find this flower. Other Information The plant extract is used in the treatment of food poisoning, root-stocks are used externally in snakebite. The term Nubicola is derieved ifrom Latin word Nubi (means among clouds) and Incola (means inhabitant), referring to habitat of the species which occur in mountains. Where will you find it in Valley of Flowers You can find this flowers easily in the main part of the Valley. 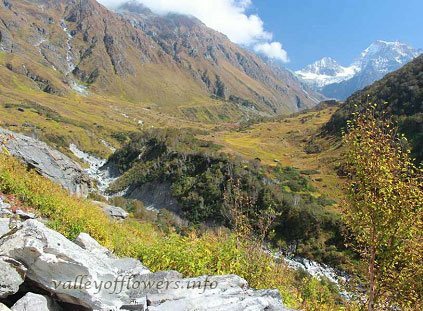 To see this flowers in abundance you need to visit Valley of Flowers in the month of September. This picture was taken in September, 2012. Other Information Leaves are used to treat sores and wounds. Where will you find it in Valley of Flowers This flowers is found in small colonies on the bank of a river (Frozen till mid July) near the entry gate of Valley of Flowers. Just after walking hundred meters from the entry gate on the right bank of the river, on rocky slops you can find Primula Reidii. You can also find Primula Reidii along with Blue Poppies after walking another 100 meters from here and crossing a dense forest. While you descend downwards to an iron bridge to cross Pushpawati River, on your right side of the trek you can find these flowers. Where will you find it in Valley of Flowers This flower is not found in Valley of Flowers as it is found at an altitude of 600-2100 m. However, you can find Trichosanthes Tricuspidata on your trek from Govindghat to Ghangaria. Other Information Fruits and roots are used in treatment of Asthma and Diabetes. Where will you find it in Valley of Flowers Helenia Elliptica is found just after entering into Valley of Flowers gate. You can see this flower on your both sides near to the entry gate if you visit in the month of September. This flower is found at a altitude range of 1800-4500 m.
Other Information Seeds are used to alleviate fever. Elliptica is in the reference of Elliptic shape of leaves. Where will you find it in Valley of Flowers This is weed. You can find it everywhere in Valley of Flowers, specially in the later half of Valley of Flowers you can find it spread along the whole slope. This plant is actually disturbing the other plants in Valley of Flowers. In 2012 forest department uprooted lots of Himalayan Knotweed Plants. They hired 4 to 6 labours who worked daily to uproot this plant. This plant looks very beautiful and gives Valley a beautiful shade in the month of September. The typical rust color shade of Valley of Flowers in the month of September (end) is due to the color of its leaves. Other Information Leaves are used as vegetable. I and my friend like to visit Valley of Flowers in the middle of August, 2014. Please inform me full particulars of tour package what you have conducted with amount of charges for the tour. A detailed itinerary has been sent to you on your mail ID. Yes, It is possible. I will call you today. Thanks Dear, you may come along with me to the true wonder of nature. Kindly visit our Valley of Flowers Tours Packages to know and plan your trip to Valley of Flowers. Viola pilosa is a perennial stoloniferous herb. Leaves are deltoid in shape. Flowers are solitary, pale violet or lilac. The specific name Pilosa means hairy refers to the presence of bearded petals in the species.